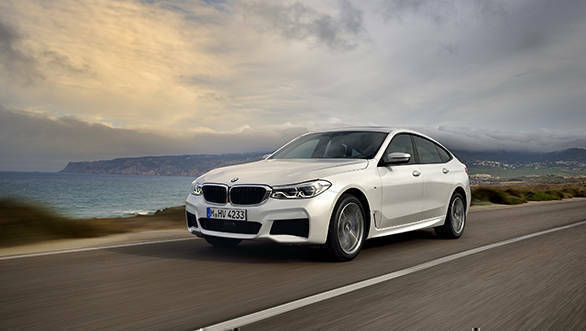 BMW has launched the 2018 6 Series Gran Turismo 630d diesel engine option in India today Rs 66.50 lakh (ex-showroom) for the Luxury Line trim. The 630d Gran Turismo will also be available in M Sport trim for Rs 73.70 lakh (ex-showroom). Alongside the two diesel options, BMW India has priced the BMW 630i Gran Turismo Luxury Line petrol option at Rs 61.80 lakh (ex-showroom). 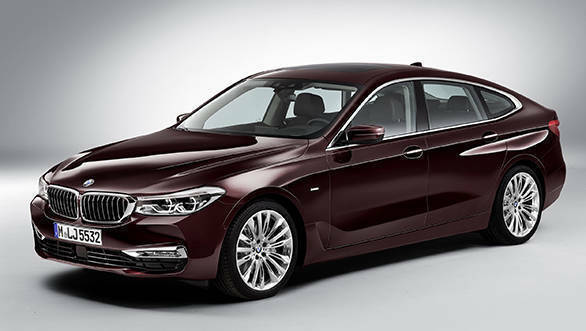 The 630d comes powered by a 3-litre six-cylinder diesel engine that outputs 268PS and 620Nm. This can propel the 6 Series GT to 100kmph in 6.1 seconds. The Luxury Line trim of the 6 Series GT is available in Mineral White, Glacier Silver, Mediterranean Blue, and Royal Burgundy Red paint options, while the M Sport range has Carbon Black and Bluestone options. The tall coupe stance remains. The Luxury Line variant features lots of chrome elements, on the signature BMW kidney grille, bumpers, rear apron, as well as the exhaust tips. The M Sport model, on the other hand, features the M Aerodynamics package including black fins on the air breathers, special side skirts, larger front air intakes and M Sport Brakes. This variant also receives the M-labeled light-alloy wheels. Both trims come loaded with features such as two-part panoramic roof, electrically adjustable rear seats and electric sunblinds for the rear windows. The 6 Series GT M Sport features Nappa Leather upholstery with contrast stitching for a sportier look. In addition, the vehicle comes with the soft-close function for doors as standard. The BMW display key also enables the driver to park the car from outside using Remote Parking. The display also shows fuel range, service reminders, cabin temperature and other information. There is a 10.25-inch touchscreen infotainment system along with separate touch controls and wireless charging mobile holder for compatible smartphones. Taking care of audio duties is a Harman Kardon surround sound system.